Your sponsorship of this premier conference is a strong statement about your organisation’s commitment to the field of HCI, as well as your commitment to the professional development of your staff. CHI 2019 continues to offer new and exciting opportunities for sponsors. Benefits this year include publicity and professional development as well as recruiting, networking and business development. 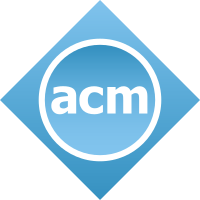 For more detailed information about these and the many other advantages of sponsoring, please see the CHI 2019 Invitation To Sponsor, or contact Carol Klyver, Sponsor and Exhibit Director, at sponsor@chi2019.acm.org. Participation in the Sponsorship program is an ideal opportunity to demonstrate your organisation’s commitment to the field of HCI. CHI 2019 offers proven opportunities for your organisation to make thousands of delegates aware of your commitment to high-quality interaction design.